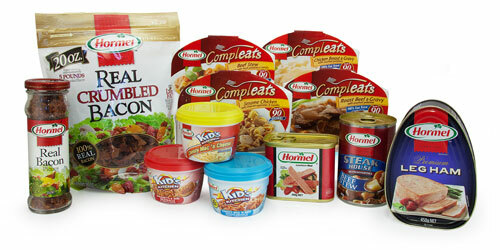 Since 1891 the Hormel name has been synonymous with quality, value and innovation. We continue to keep George A. Hormel’s original vision alive with products that retain the quality and flavour of the first hams he offered. Today our products are a tasty part of breakfast, lunch, dinner, snack and party solutions – all created with convenience in mind to accommodate your busy schedule. Be sure to incorporate Hormel® products into your menu for quick, easy and flavoursome meals that your family and friends are sure to enjoy. We invite you to become more familiar with the diverse array of wholesome and great-tasting foods that are part of the HORMEL® brand. They are as relevant, delicious and high-quality now as they were back then.